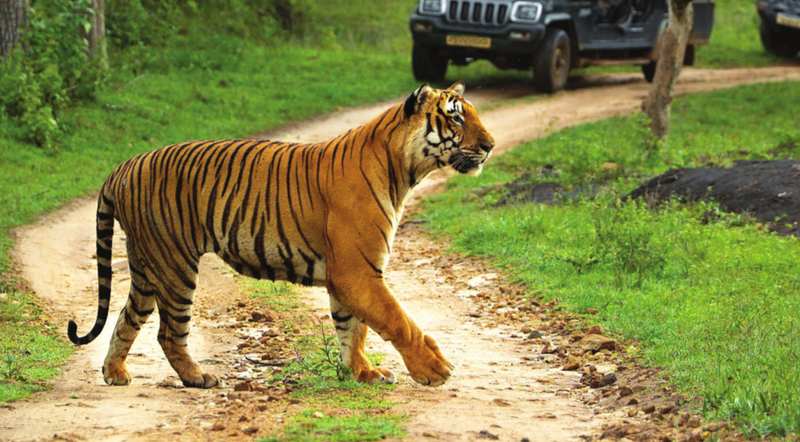 The Bandipur Tiger Reserve in southern state of Karnataka is one of the most important habitats for the tiger. It is also perhaps one of the few last places on earth where the endangered cat has a chance of survival. S ituated in two districts of Chamarajanagar and Mysore and adjoining the parks Nagarahole, Mudumalai and Wayanad, Bandipur which measures around 1,000 square km in area forms a large chunk of the over 5,500 square km large Nilgiri Biosphere Reserve. It is also a part of the Western Ghats, recognised by UNESCO as one of the world’s eight ‘hottest hotspots’ of biological diversity. The Bandipur National Park is situated at the confluence of Western and Eastern Ghats, and serves as a vital corridor for the seasonal migration of elephants from Mudumalai Sanctuary and Satyamangalam forest in the east and south east to Nagarahole National Park and Waynad Sanctuary in the west and North West. It supports a very high density of elephant population with significant number of adult tuskers. 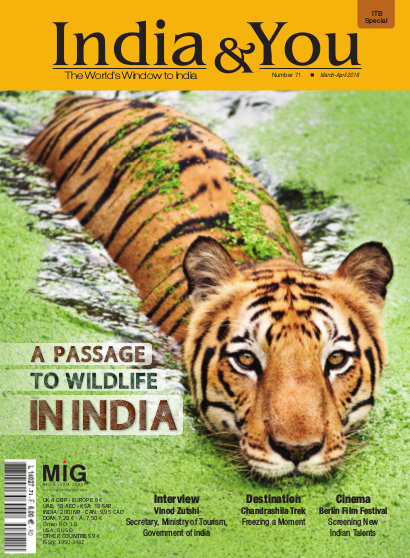 The tiger reserve, which was a former hunting ground for the then royal family of Mysore, was called Venugopala Wildlife Park in 1941 and eventually, in 1973, when Project Tiger was launched it was renamed Bandipur National Park. The forest, which was till then home to the forest tribes called Kurubas of which there are three distinct ones, was one of the first that created inviolate spaces where the flora and fauna could thrive and live undisturbed. The tribal villages were shifted to the periphery of the park and the government provided them with housing, basic amenities and even land as compensation. Over the decades, many tribals have taken up jobs as watchers and guards working with the forest department and are invaluable in reading signs from the forest. They also man the 26 anti-poaching camps set up in various parts of the park to protect the wildlife. The national park lies on the leeward side of the Nilgiri mountains. With the absence of large rivers except the Moyar that flows through the Moyar Gorge that divides Karnataka and Tamil Nadu, the park depends on the monsoon rains for the bulk of its water supply. However, in the recent years, there has been a deficit in the rain, thanks to large-scale deforestation in the area. In addition, pressure from the cattle herds of the tribals and other villagers in the area, has led to a steep decline in the water level and green cover. The cattles are used mainly for milk and dung and supply the estates growing tea and coffee in the Nilgiris. As a result of the lack of water, large herds of elephants, seen in the vicinity during and after the monsoon, start moving towards the forests near the Kabini Reservoir in search of water. The terrain is hilly and undulating with an altitude ranging from 800 to 1,476 metres. The highest point in the Bandipur Tiger Reserve is the ‘Gopalaswamy Betta’ at 1,476 metres. The hilltop has a temple that is a pilgrimage spot visited by many. In order to curb pollution and disturbance to the wildlife, the forest department has started bus services to the hill while banning private vehicles from going to the temple, which falls well within the tiger reserve. 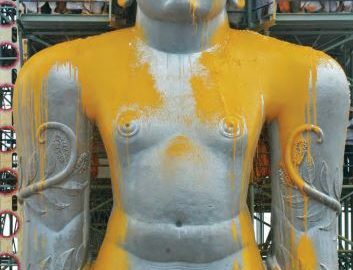 As another move to limit the human interference, the forest authorities have also banned traffic, between nine pm and six am, on a highway that literally bisects the core of the national park, linking it with Mudumalai in Tamil Nadu. The curfew was imposed after several incidents of tigers, elephants and leopards, besides deer, being killed due to unattentive drivers, most of whom carry vegetables and other farm produce to markets in Tamil Nadu and Kerala. Though there have been efforts to have the route reopened round the clock, the forest department has so far resisted these moves, which would once again imperil the wildlife. Bandipur is one of the richest wildlife reserves in India, being particularly noted for its seven large ungulate species Muntjac (barking deer), chital (spotted deer), Sambhar, Chousingha (four horned antelope), gaur, wild boar and elephant and three large predatory carnivores – Tiger, Leopard and Dholes, the Indian wild dogs. The area supports a very high ratio of predator and prey species. Large herds of spotted deer welcome every visitor to the park. It also has highly endangered and rare species like the mouse deer, gazelle, hyena and leopard cat to name a few. 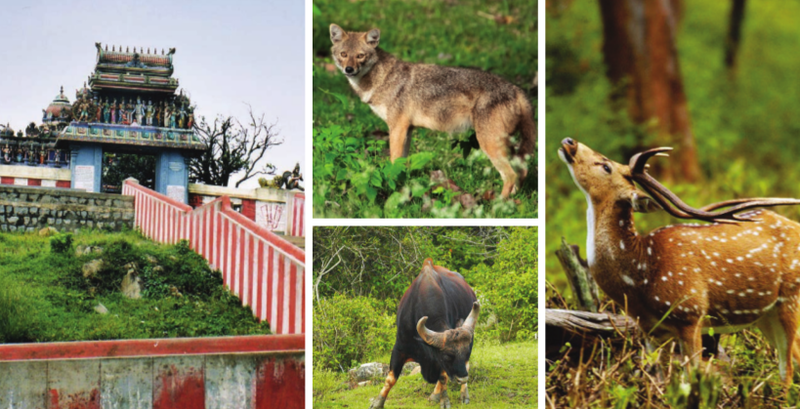 Unlike the parks in northern India, the Bandipur Reserve is open all the year round and offers numerous opportunities for the wildlife enthusiasts to see and enjoy different animals in their natural habitat. After the monsoon in July the park is lush green, and the forest offers a visual treat adding to the herds of elephant and gaur that return. Come February the sightings of the predators become more frequent as they move to various waterholes in the national park. Like the wildlife residents of the reserve, human visitors here too have a variety of accommodation to choose from. The forest department offers basic facilities like rooms and dormitories that can be booked online. In addition, there are homestays and eco-friendly safari lodges for every budget. The cost of safaris, which last about two hours, is about EUR 18 per person for an Indian and EUR 30 for foreign nationals. However, the quality of the safaris could definitely be improved by Jungle Lodges and Resorts, the state-owned forest resort operator, which has a monopoly over safaris in Bandipur. 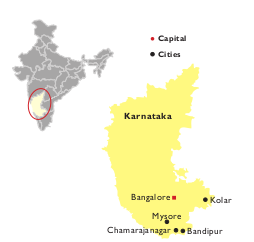 The nearest airport to Bandipur is the Bangalore Interna- tional airport at a distance of 215 kms, while the nearest railway station to the place is Mysore at 80 kms. Also, manty state owned buses run to Bandipur. Accomodation near the Bandipur Tiger Reserve is not a problem as many guest houses, lodges, resorts, clubs, farms, dens, and hotels can be found near the reserve.